The Avatar Portal Forum • View topic - Post Your Fav. FanFic Here!! Re: Post Your Fav. FanFic Here!! Summary: The monks can't have possibly determined Aang to be the Avatar simply from his toys, although they were a pretty big giveaway. The monks guess at, and know, Aang's true birthright through his every day life, and his bending revelations. Here's a few fanfics that I find enjoyable to read. They all are nicely written and show a fair amount of detail. 100 epilogue shorts to Scarlet's amazing fanfic, Never Forget Who You Are. It is really good, and fills in a lot of gaps left by the show. It primarily takes place during book 3 after the downfall of Ba Sing Se. Mainly about Zuko, for the most part, and his inner turmoil. Very greatly written, lots of detail, and a must read! Rating: PG to PG-13, there is an R version, but I think you have to PM Scarlet for it. A fanfic mainly about Katara in a . . . supernatural state of mind and being, I won't elaborate any further, as I don't want to spoil the story. It is told mainly from Katara's point of view, judging from the first couple of chapters written. Overall nicely written, and even though it starts out depressing, Anahar tells us that the ending will be a happy one. A story about a Fire Nation child who is from a pro-war family, and must deal with the turmoil of secretly not supporting the war. The Fire Nation boy makes a new friend, and risks his reputation and well-being secretly visiting him. This story is told from the first-person point of view, and nicely written; one of the better fanfics written in first person. An alternate universe to 'The Order of the Avatar Slayer', has some of the same characters in TOAS, tells of a story about the evil Avatar Zuroc, who took almost over the entire world, except for the Southern Water Tribe. Shows awesome Katara Altina II ownage in some parts, and Tera's ever famous drunkard character, Tenoko Dragmire. 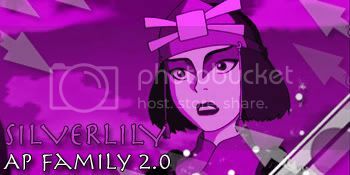 Katara's and Tenoko's forces fight a war against Avatar Zuroc to release the world from her clutches and restore the four nations as they are intended to be. Rating: PG to PG-13 for mild violence and some blood and guts too. I'll put your fanfic up here, too. Because it's that awesome. When a teenager Airbender wakes up in the times of war and reveals who she truly is, she must embark on a journey to master the elements and find out what happened to her friends. Well-written, with interesting plot twists. An excellent read for all Air Nomad fans! Rating: PG currently, I think, possible PG-13 later? Summary: A more in depth look at what could have been a disastrous night for both Prince Zuko and General Iroh. A filler on details upon the events in Chapter 18: The Waterbending Master. This is actually my fanfic. Here is my favorite Red Eye fanfic. It's kind of mature, FYI. A prince struggles to change his destiny. An unforgiving waterbender tries to see past the betrayal. Fate has decreed them to be enemies from the start but the heart cares not for the laws of the universe. AU ZUTARA starting from the Boiling Rock. Zutara AU, Hades x Persephone inspired In a land of gods and spirits, Katara is the daughter of the Sea, and Zuko is the powerful and reclusive God of the Fire Realms. Zuko has been pining for her for too long... so he finally takes action. Katara wakes up to endless darkness. So why does she feel like she's falling? The experience will transform her life, but not for the better. But perhaps he will. Last edited by KaruLoSing on Fri Jul 22, 2011 7:31 pm, edited 1 time in total. There are rumors saying that the avatar has returned . Some say he’s an airbender, some a fire bender and so on. There are rumors the airbenders are extinct, but I don’t believe it. Im not sure i should believe anyone until I see for my self that it is true . The airbenders were attacked over 100 years ago its possible some managed to escape. The fire nation is trying to attack omashu, I plan to leave and go in search of this Avatar, hopefully I will meet others along the way. I leave in one week! went to the market todayand accidentally knocked over a cabbage cart and wound up paying for them all I bought a pair of twin swords there I love ba sing se you can literally find anything in the markets I even found a guy selling scrolls on bending not that id ever need them as much as I would love to be able to bend. There is an awesome story on fanfiction.net by Vathara called Embers. It is an AU story that takes place just after the Cave of Two Lovers, follows canon for the most part for the first few chapters, then spirals almost completely into AU. Zuko discovers a lost firebending technique, sets off to save his people (firebenders who would rather get out of the war), and along the way runs into various predicaments that prove beyond the shadow of a doubt he is ten times or more unluckier (is that a word?) than Sokka. What happens when he becomes friends with a waterbender in Ba Sing Sei? What happens when he meets his mother's family? It's an Avatar adaptation of The Hunger Games. It is spectacular and I suggest it to everyone, even if you didn't read the hunger games. I didn't read it yet, but I will now because of this. Starts off during the last big Toph-related scene of the show, explores it in excruciatingly wonderful detail, then goes from there to tell a story about Toph needing to figure out her life post-war and get over her crush on Sokka (which, stubborn as Toph is herself, seems to stick around pretty intensely here). What's really the draw of this story is the thick, rich description. The pacing and dialogue start out stiff but she's gotten better. It's good stuff, one of my very few favorites in the fanfic-verse (as I actually don't READ a whole lot of fiction, at least not on the internet) and is dealt with a lot of care and some thought-provoking metaphors and descriptors. "This story is an AU, modern-day, college setting that stars Aang, Katara, Sokka, Toph, and Smellerbee. Its plot weaves elements and references from the main series (and even a little Legend of Korra later) but the actual plot itself is generally an original plot, based in large part on my own personal experience in college." I really can't say enough good things about it. Honestly and truly this is not a "fanfic" it's just an amazing work of fiction. And not only that, if you check it out on DA there is an AMAZING - and ever expanding - gallery of artwork to go with it.